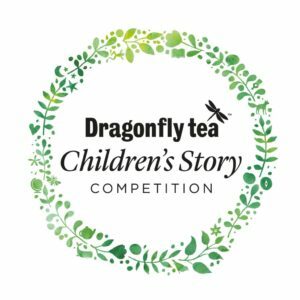 Children aged five to 15 across the country are being invited to enter the Dragonfly Tea Story Competition, with book vouchers and a prize-giving at one of the UK’s leading book festivals on offer to the winners. 2018 marks the fourth consecutive year the Berkshire-based tea company has teamed up with the Henley Literary Festival for a short story competition. New this year is a focus on children and an exciting new partnership with literacy charity Beanstalk. Beanstalk recruit, train and support volunteers across England to work in schools with children who have fallen behind with their reading. Last year, nearly 200,000 children left primary school unable to read to the expected level, which is why Dragonfly Tea has pledged to match donations to the charity made by its customers for the duration of the 2018 children’s writing competition. So far the Charity has raised over £9,000 in three weeks as part of its Crowdfunding campaign to help more children with reading across England and is aiming to raise a further £40,000 over the next two weeks. Inspired by the great tea gardens of the world, this year’s theme is The Wild Garden. The three competition age groups are 5-7, 8-11 and 12-15, and the winner in each category will receive £50 in book vouchers for themselves and £100 of book vouchers for their school. The winners will be picked by the competition judges, the broadcaster Baroness Floella Benjamin and David Melling, author and illustrator of the bestselling Hugless Douglas series of books. All shortlisted children will be invited to a special prize-giving ceremony on the final day of this year’s Henley Literary Festival, Sunday October 7th. The deadline to enter is 31st July 2018 and entries can be submitted via dragonflytea.com – where full rules, terms and conditions are also available.